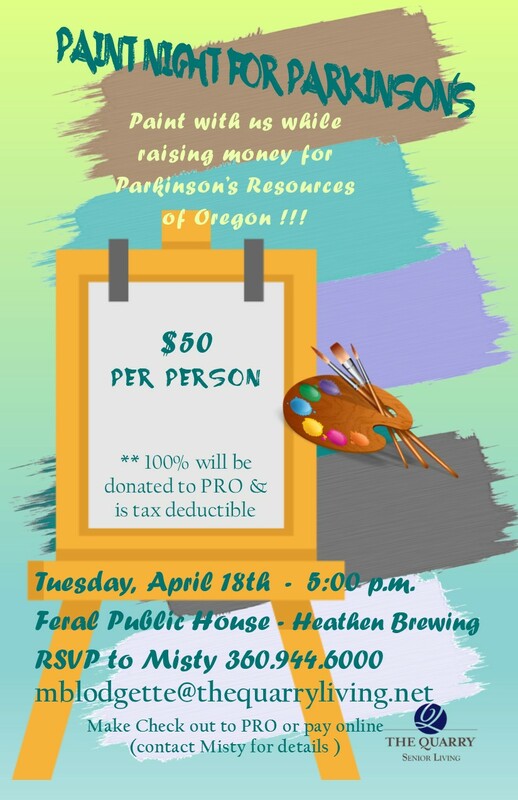 Join us as we have a fun night doing some painting while raising money for Parkinson’s Resources of Oregon. We will host a private instructor with limited seating. All of your money will be donated to PRO!